Lights2you has a great variety of touch lamps in Australia available in many colours and styles. 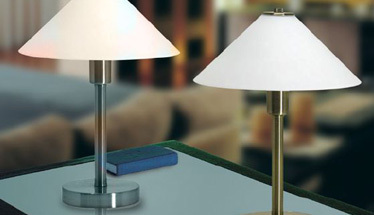 Touch lamps feature a 3 stage touch dimmer that dims light whenever human contact is made with the table lamp frame. Touch bedside lamps are a popular lighting fixture for bedrooms, as the 3 stage touch dimmer creates mood lighting and perfect as a night light for children.